If you’re a Mesa, AZ resident looking for a job that can give you good pay, solid benefits, and the kind of security that comes with expertise, becoming a forklift operator could be your point of entry into Arizona’s booming construction industry. With high-profile projects underway all over the state and quite a few on track right here in Mesa, it’s never been a better time to get started with a great new career. 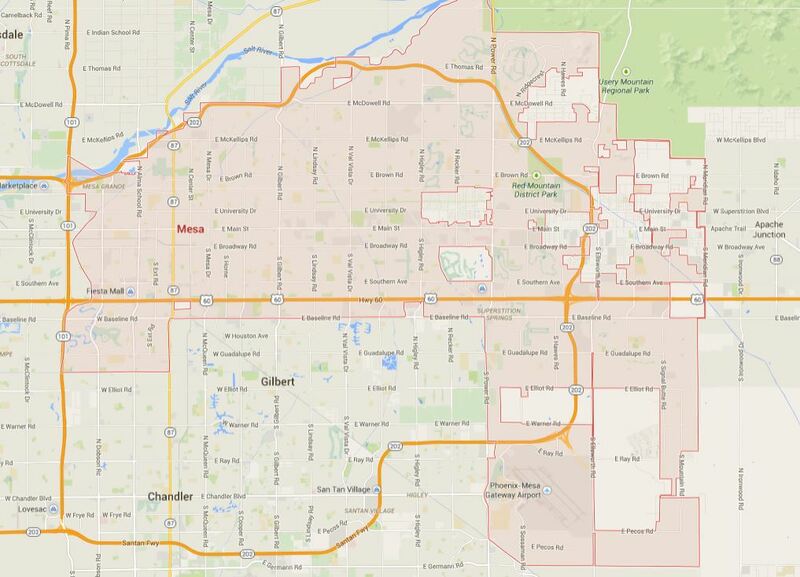 Mesa is one of the primary suburb cities east of Phoenix. It’s an important commerce center for Maricopa County and the entire state of Arizona. Thanks to a strong local economy and a wide range of employers, Mesa is just the place for a well-trained forklift driver to secure a great job. You have the passion and dedication to become the best possible forklift operator. Let CertifyMe.net provide the training and skills. After all, if you want to become a forklift driver – or get a better-paying job – it always helps to have the latest OSHA compliance training. And no other online training resource gives you the support, recertification training, and overall OSHA knowledge that CertifyMe.net provides. Before you begin the application process, you’ll need to get ready for the job by learning the skills you need. Employers expect everyone they hire to be familiar with the equipment they’re using. Even though they’ll be providing additional training on-site, they want to be sure they’re not starting from scratch. Forklifts are highly specialized and potentially dangerous pieces of machinery. There’s plenty to learn before you can be trusted with the safety of your crew, yourself, and the property you’ll be handling. There is a wide range of safety guidelines that all operators have to be aware of at the outset – to make certain that every site you work on is safe and effective. All that said, it’s easy to get started with an online course that’s recognized throughout the state. It’ll demonstrate all the skills and guidelines you’ll need to know before you’re on the job, giving you the certification you’ll require to be a serious candidate. Construction companies are responsible for making sure that everyone in their crew is up to code. That means they couldn’t hire unqualified forklift operators even if they wanted to. Keeping work sites safe for everyone and everything in them is absolutely critical, and it’s closely overseen by a government agency: the Occupational Safety and Health Administration (OSHA). OSHA lays down the rules for how to operate potentially dangerous equipment and who is qualified to do so. Failure to comply can result in the kind of stiff fines that no business wants to deal with. Fortunately, becoming certified with this OSHA-compliant online course removes that obstacle. Employers can be confident they’re hiring someone who knows what they’re doing and can demonstrate it to them and to OSHA. The guidelines also call for additional on-site training, but certification is the starting point. Without it, you can go ahead and knock on the door – but chances are it won’t open. What Kind of Jobs Can I Find in Mesa? The popular Hensley Beverage Company is always looking for qualified forklift operators. Consider applying to this local mainstay. Americold is a nationally recognized cold storage authority interested in hiring serious candidates to manage and operate their warehouses here and all over the country. This local favorite thrift store needs forklift operators for its vast and constantly rotating warehouses of goods. Check out the opportunities they have to offer. These are only some of the great employers located within Mesa’s city limits. If you need forklift certification in Mesa, AZ, contact CertifyMe.net today. In no time at all – and at an affordable price – we’ll get you the Mesa forklift training you need. No hassle. No headaches. Just the best OSHA compliant certification. Good luck in your job search, and remember to start with CertifyMe.net by getting the training you need – and the respected certification that will open the door! Get started today – signing up with CertifyMe.net will help you get the Mesa forklift job you’ve always wanted! Thanks for considering CertifyMe.net for your forklift certification in Mesa, AZ!